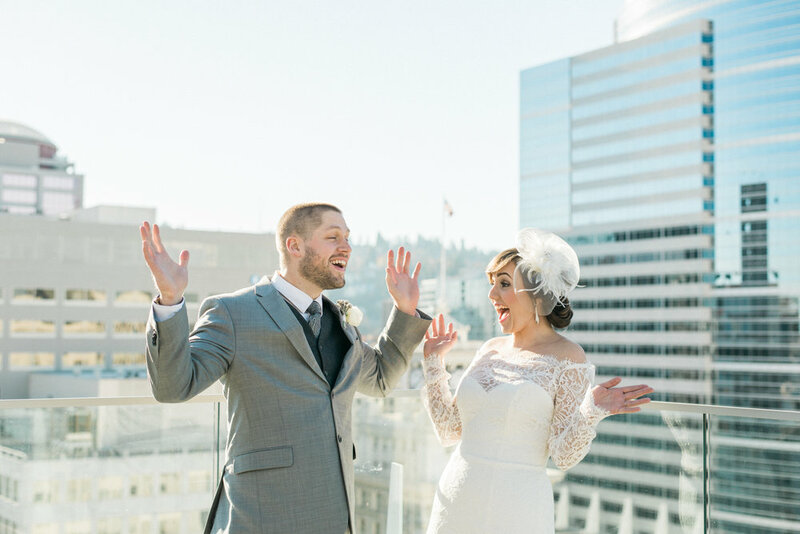 This beautiful elopement took place at the Nines in downtown Portland. Sammie & Brady wanted to celebrate their love in a elegant and modern way, surrounded by just their closest friends and family. 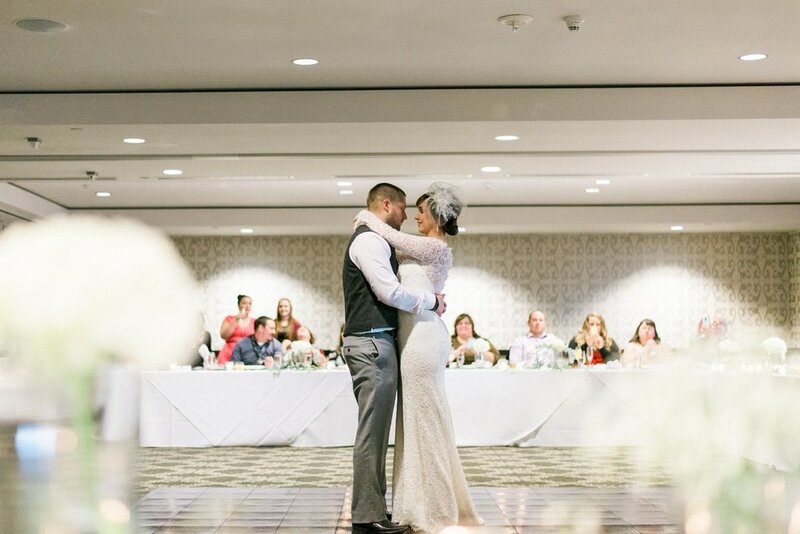 The Nines is vibrant and artsy in every way -- the perfect setting for their urban, downtown wedding. Sammie got ready in the morning in one of their beautiful suites with her best friend, Andrea, by her side. We met up with Brady for their first look and then continued around the hotel for some portraits before their ceremony. The highlight for portraits though, was definitely getting to shoot at Departure Lounge, the Nines' rooftop restaurant balcony. Located on the 15th-floor in the middle of downtown, we had a gorgeous view of the city as the backdrop for their portraits. A special treat, indeed. Thank you Sammie and Brady for letting me be a part of your wedding day! I had so much fun with you two!